If you are interested in drones, intelligent robotics and unmanned systems, you might want to visit the AUVSI Xponential on May 8 – 11 at the Kay Bailey Hutchinson Dallas Convention Center. If you are interested in drones, intelligent robotics and unmanned systems, you might want to visit the AUVSI Xponential on May 8 – 11 at the Kay Bailey Hutchinson Dallas Convention Center. AUVSI is the world’s largest nonprofit organization devoted exclusively to advancing unmanned systems. It has over 7,500 members. If unmanned systems are your thing, you might want to consider a membership, which includes the Unmanned Systems Magazine and the Daily Robot, which contains industry news, delivered every day via email. There are also opportunities to network with like-minded individuals. 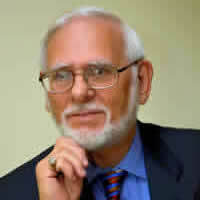 The organization examines legislation, which affects the industry, while assessing how the industry impacts the economy. They represent the views of the members in Congress, and work with many trade associations. The conference program consists of three parts. The Policy Program covers government agencies, which affect the regulation of unmanned systems. In dealing with Technology, the second program covers innovation, drone delivery, software development and autonomous vehicle advancements. The Business Program discusses remote sensing, mapping and imaging, as well as maritime applications for oil and gas. Some of the features of the show are the Unmanned Aerial System Weather Forum, The Wireless Repair Roundup, a Workshop on Civilian Applications of Unmanned Aircraft Systems, Autonomous Flight for Tomorrow’s Technology, SAE Industry Panel Discussion, the ASSURE Research and Outreach Fair, and the AUVSI Remote Pilots Council. Technology zones provide locations for attendees to see the latest innovations, such as the Air Pavilion, Business Services Zone, Software Pavilion, and the startup pavilion. Among the International Pavilions Canada (2653) will show the breath of the industry there. China will present the latest in Chinese robotics. Denmark (2315) will discuss their test center where companies can take advantage of hanger space and test in pre-approved airspace. 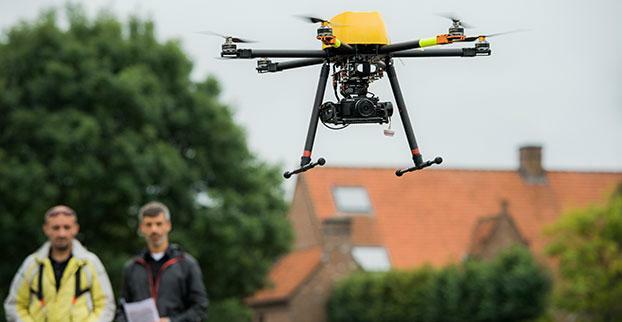 France (2445) offers aerial imagery specialists, drone operators and equipment manufacturers. Spain (2539) and the UK (1917) feature innovative companies in the UAV industry. 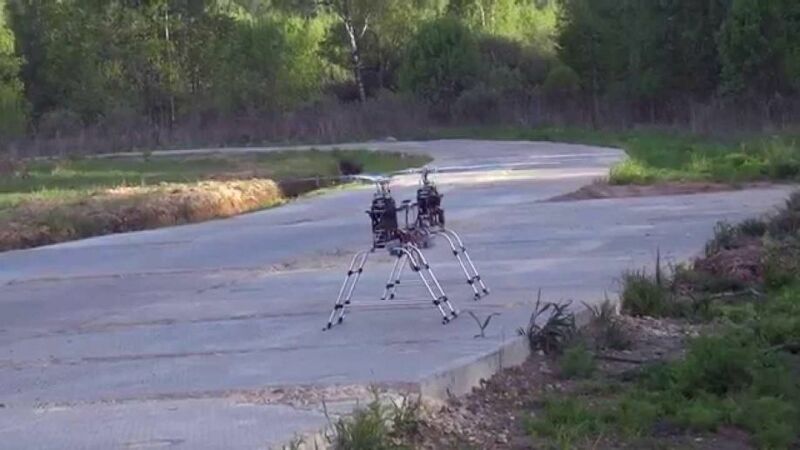 From energy to broadcasts to security, unmanned systems are empowering functions that were previously unachievable. In the exhibit hall, there are education programs planned for the Starting Point Theater, Solutions Theater and Poster Sessions area. New companies that are developing the future of innovation in the industry will be featured. The exhibit hall will showcase 650 companies representing more than twenty industries. RoboticsTomorrow has created a Special News Report where companies post their own news releases and announcements before, during and after the show. Whether your interest is in UAVs, software, manufacturing or repair, this is the show to attend. Here are a few of the interesting companies to check out. One such company is Maxon Precision Motors (Booth 1514), from Sachsein, Switzerland, which manufactures custom DC brushed and brushless motors and drive systems. 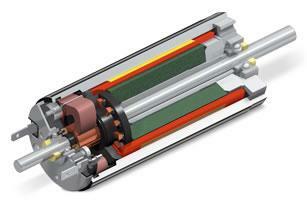 Their EC motors are brushless, dynamic and offer high speed and durability. Their drive systems go up to 500 watts with their brushed and brushless electric DC servo-motors. They own the patent on their own ironless winding system. Maxon has Spur gearheads, and planetary gearheads made of plastic, ceramic or stainless steel. They have motor-gearheads for applications in extreme environments in terms of temperature, pression and durability, along with sterilizable motor-gearheads for use in the medical field. Harmonic Drive (Booth 3031) has an easy solution for high precision motion control applications—rotary actuators, which deliver both high force and outstanding positional accuracy. Their performance matched precision gearing, motors and encoders are designed to provide a power dense, cost effective solution. The company manufactures their own cross roller bearings, harmonic and planetary gearing, state-of-the-art brushless servo motors and encoders. 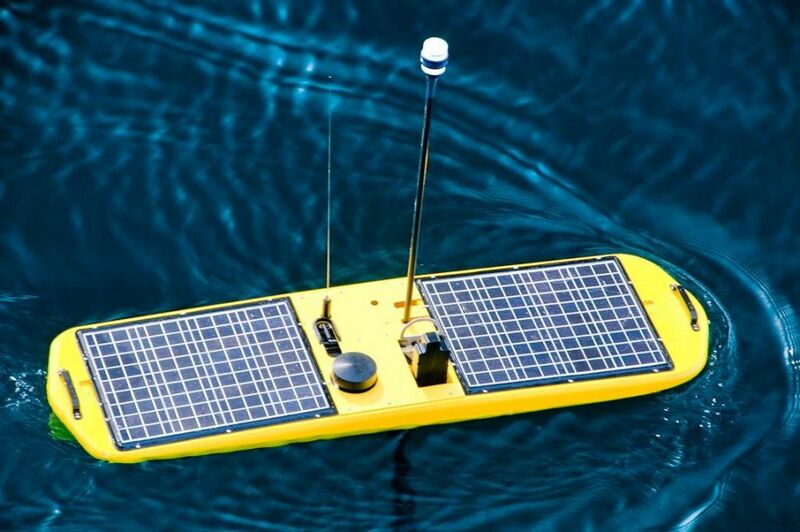 Liquid Robotics (Booth 2411), a Boeing Company, designs and manufactures an unmanned surface vehicle called the Wave Glider, which is the world’s first ocean robot to be powered 100% by wave and solar energy. It gathers data in ways and locations too costly or challenging in which to operate. Best known for GPS technology, Trimble (Booth 1725 & MR7) integrates a wide range of positioning technology, including GPS, laser, optical and inertial technologies to provide complete commercial solutions of global positioning system receivers, laser rangefinders and inertial navigation systems for land survey, construction, agriculture, transportation, mapping and mobile resource management. Acecore Technologies (Booth 1606) is a manufacturer of high-end commercial UAV systems, such as the all-weather UAV system, the NEO. With a 19-lb. 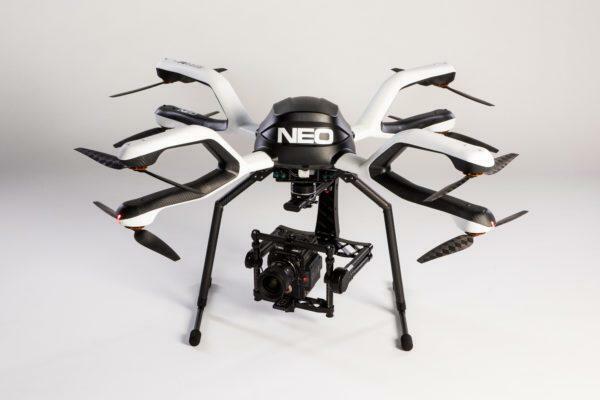 capacity, the NEO can carry a multitude of payloads. BirdsEyeView Aerobotics (Booth 1538) introduces the FireFLY6 PRO, which is a long-range flying wing with powerful vertical takeoff and landing capabilities, and 43-50 minutes of flight time with a payload. It has quick-release plug-n-play payloads for a variety of applications, such as mapping & survey, agriculture, and more. When an application requires perfect vision, turn to Computar (Booth 334), which has been the world leader in optics across industries, including intelligent traffic systems, machine vision, defense, security and life sciences. 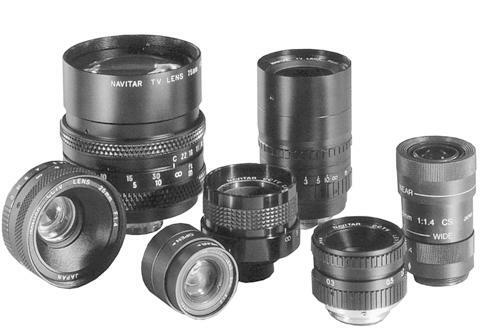 Whatever the specific needs, Computar has a lens that fits. 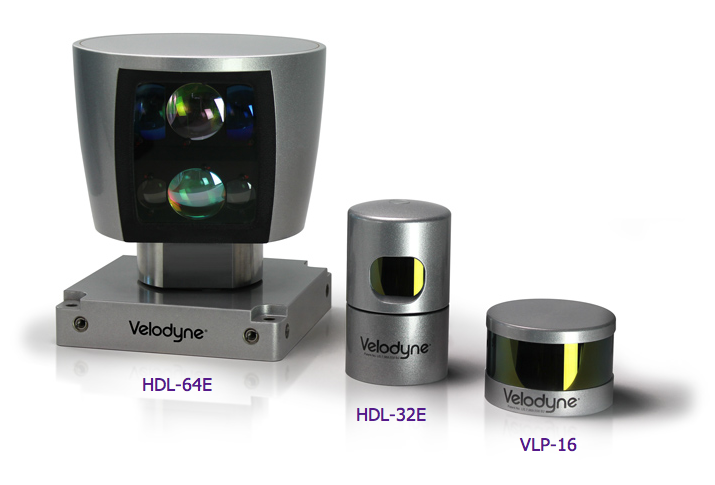 Velodyne LiDAR (Booth 2825) designs and manufactures the most advanced LiDAR sensors in the world, capable of delivering the most accurate real-time 3D data on the market. Their line of sensors has been developed to create a full 360-degree environmental view for use in 3D mapping and surveillance, industrial equipment/machinery, and autonomous vehicles. TSC (Booth 1640) is a technology business with a focus on development, engineering services and hardware production. Within the UxS market, their focus is primarily on defense and security related uses of UAS, including radar sensors for unmanned ISR, Airborne SAA/DAA, and C-UAS, and overseas operation of long-endurance surveillance platforms. 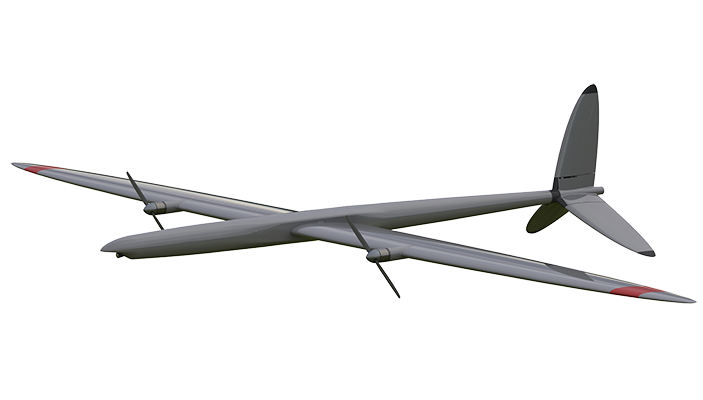 The Silent Falcon UAS (Booth 330) is the only solar electric, small Unmanned Aircraft System with the long endurance required to fly extended ranges, carry a wide variety of quickly changeable payloads, and is easily transported and simple to operate. This patent pending, state-of-the-art system is used for numerous commercial and military applications worldwide. SPH Engineering (Booth 1825) is the company behind UgCS ground control software for drones. UgCS gives its users the ability to plan and execute automated flights with their drones. 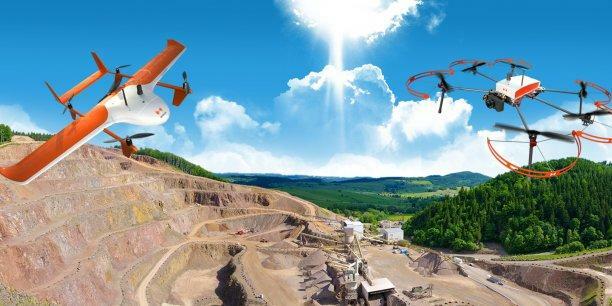 UgCS supports most popular drones on the market from a range of different manufacturers, such as DJI, 3DR, Micropilot, Mikrokopter, Parrot and even Lockheed Martin. Regulus Cyber (SP3546) is developing an end-to-end security solution and a new standard for securing autonomous systems, drones and robots. 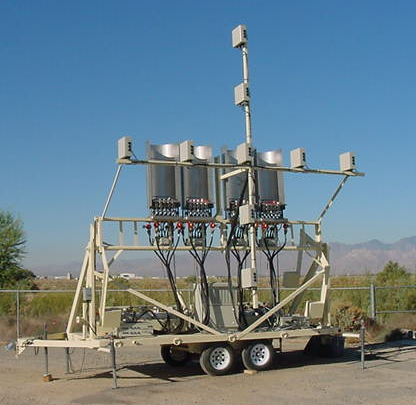 Their solution includes a modular encryption approach for a remote-control link, telemetry and video link, GPS spoofing protection, RF link redundancy, system behavior monitoring and virus and malware protection. Hélicéo (Booth 813) is a French company that designs, produces and distributes innovative tools for surveyors and topographers. Specializing in geomatics, the company offers comprehensive solutions for aerial, terrestrial and bathymetric cartography for 3D georeferenced mapping. Hélicéo is an expert in drones for geomatics and precision measurement. Iridium Dynamics (Booth 3430-P) combines efficient forward-flight with efficient hover, enabling extended hover duration for previously impossible flight profiles. 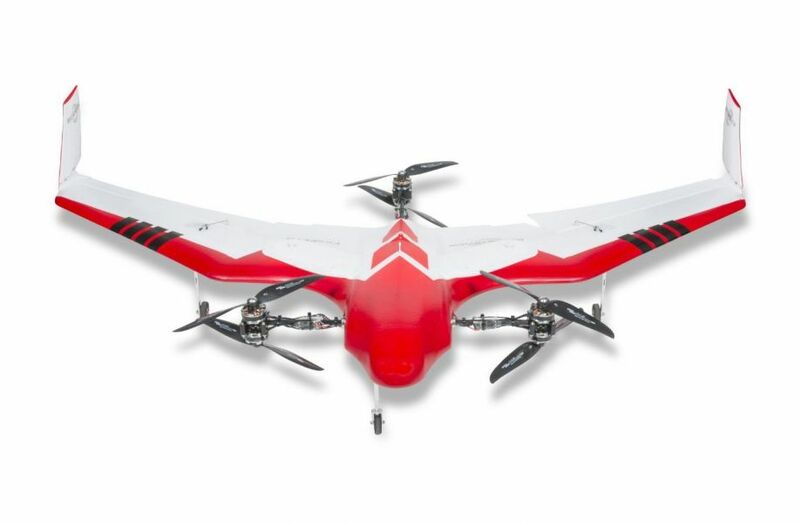 Unlike VTOL airplanes using propellers to directly generate hovering thrust, their surveillance and inspection UAV uses the same wings to generate aerodynamic lift in rotary hovering flight as it does in forward flight. You can find new technologies, new rules, and new opportunities at AUVSI 2017. With new changes to legislation, the industry is currently expanding, creating new prospects. Now’s the time to be part of the exciting future of commercial unmanned systems.